However, if you’re new to the PPC game or have not optimised your campaigns to their full potential you could be throwing money away! In this article, I asked 21 PPC experts for the tools that they could not live without. 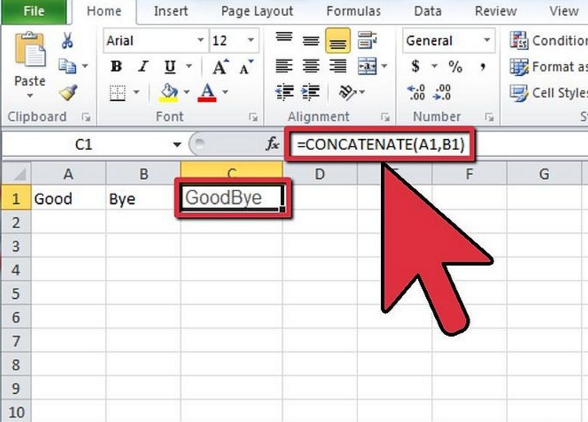 We’ve all used Microsoft Excel at some point in our online lives. You may be forgiven for thinking that there’s not a great deal it can do to help improve the efficiency of a PPC campaign… but you’d be very wrong! Knowing the ins and outs of Excel and fully utilising it is crucial for creating and understanding data whether you’re just starting out with PPC or you’re a fully fledged expert (as proven by Excel claiming top spot!). I couldn’t live without Excel. I love it and I’m always looking for more ways to expand my Excel expertise.” – Amy Bishop of Clix Marketing. Ooh so close! Number 2 in our list is the free AdWords Editor. Needing to make mass changes to an account? 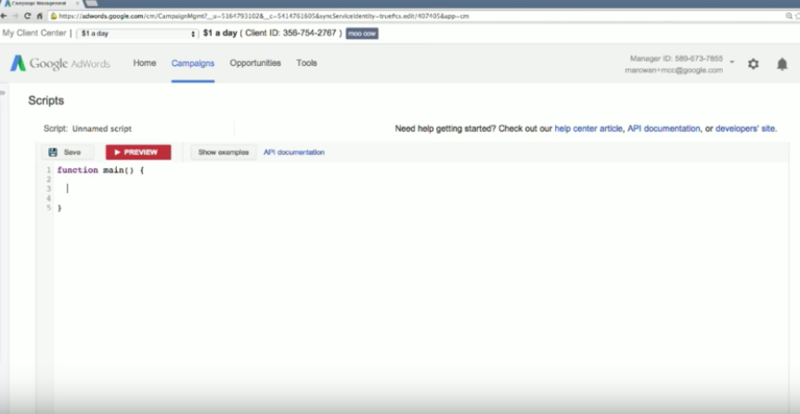 Wanting to implement a new AdWords feature across all your accounts to improve their performance? 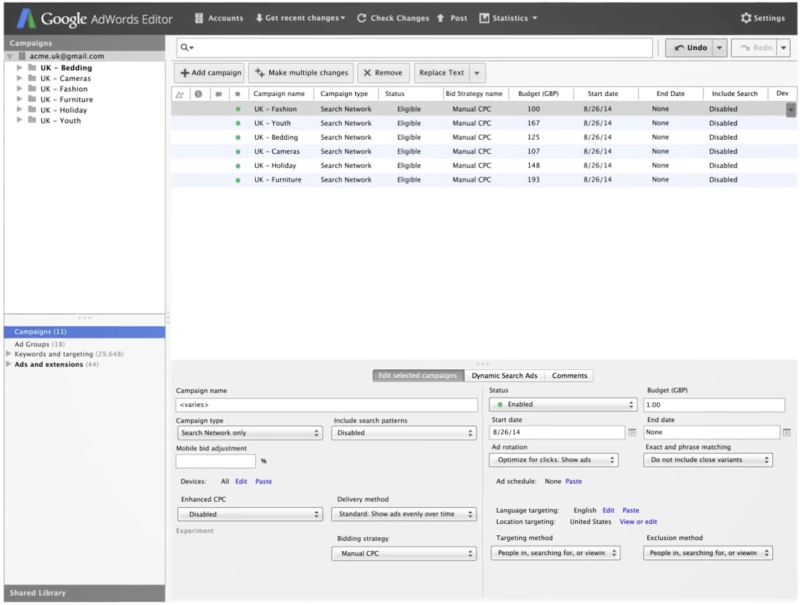 AdWords editor is THE ultimate time saver and you can even carry on working when offline. Working in the agency world, being able to quickly update ad text, make bid changes, add/remove ad text or keywords in a short period of time can help tremendously. – Justin Freid of CMI/Compas. – As reccomended by Larry Kim of WordStream, Amy Bishop of Clix Marketing, Lisa Sanner of Point It and Euan Brock of Screaming Frog. Another Google product and another firm favourite for those in the know when it comes to PPC; Google Analytics is a crucial tool. Well over 10 million websites across the world use ‘GA’ and there’s hundreds of reasons why. You can track everything from organic website visits to the demographic of users who click a certain button on a Wednesday afternoon, for example. Potent. 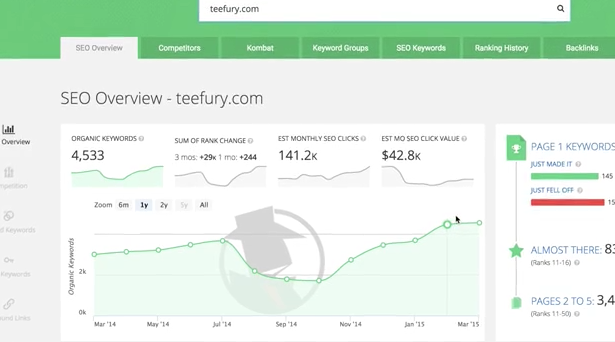 SEMrush is an industry favourite for both SEO and PPC insights. 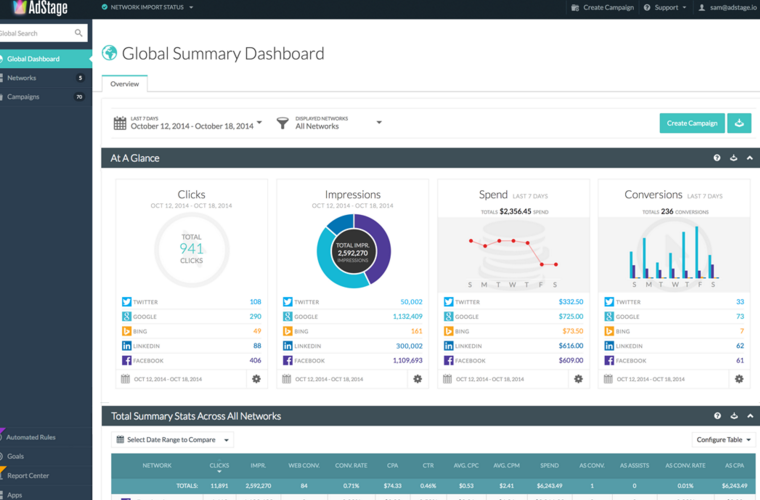 This versatile, competitive intelligence suite has a multitude of paid features. You can use SEMRush to generate analytics reports that allow for understanding your competitors strategies, utilise powerful tools to estimate keyword difficulty and cross examine many domains all in one nicely presented package. SEMrush is an extremely versatile service with a great selection of analytical reports and tools for Organic, Paid and PLA competitive research. Why learn from your mistakes when you can benefit from your competitors’ success? Yulia Shevardenkova of SEMRush. Not quite matching up to it’s Google rival when it comes to votes from the experts, it’s Bing’s Ads Editor. 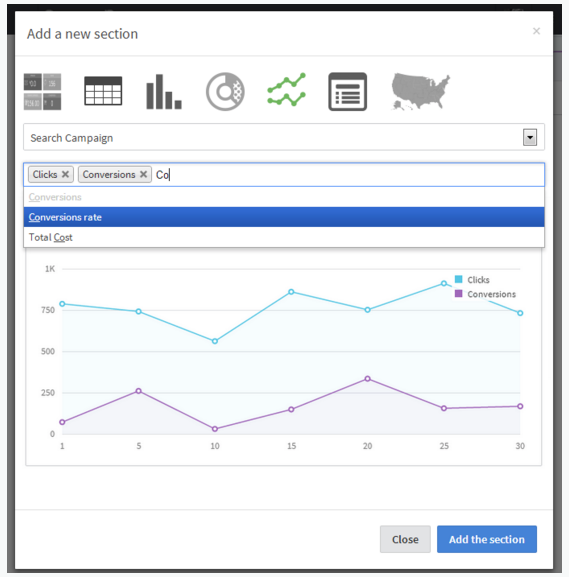 Just like it’s AdWords cousin, the Bing editor allows the user to make huge changes to your campaigns in one fell swoop and upload them in bulk. AdAlysis is a hugely powerful advert testing platform for AdWords that offers a 30 day free trial. The tool allows you to easily find advert insights, increase workflow, automate tests and much more. This tool was one of the favourite ad testing tools amongst the experts. 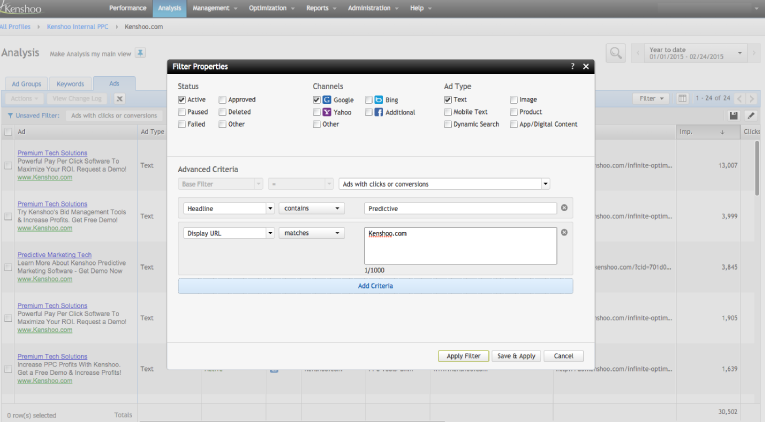 “AdAlysis is my favourite PPC tool for testing” – Chris Haleua of Adobe. Google AdWords Scripts are an amazingly efficient and underrated way of optimising your campaigns. Not only can you generate historical Quality Score reports and automate account health check ups, you can also find underperforming keywords and use insights to improve them. In at number eight is Google AdWords Keyword Planner which allows you to get keyword ideas, see performance insights and generally plan Search Network campaigns. We’re just surprised this isn’t higher up in our list as Keyword Planner is many an Expert’s go to for keyword and ad group ideas, as well as historical data. It’s also completely free to use. 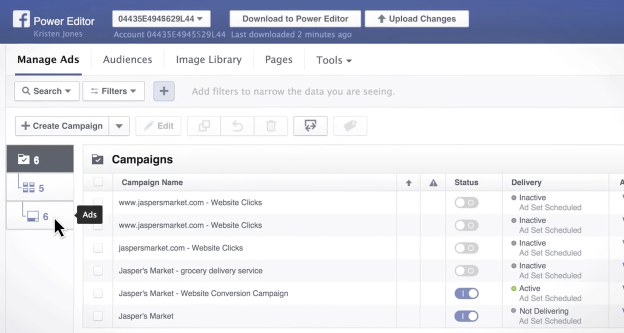 Facebook’s very own ‘Power Editor’ tool allows the user to create multiple ads at one time and have ‘precise control of their campaigns’. However, it’s recommended that if you don’t have to create hundreds of ads at a time, you should simply use Adverts Manager instead. Power Editor is only currently supported in the Google Chrome browser but it’s completely free to download. 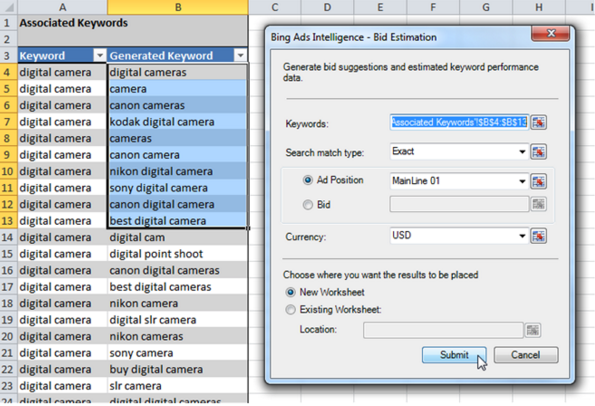 Bing Ads Intelligence is keyword research tool that allows you to easily digest the performance of keywords on the Yahoo Bing Network. It’s free to download and allows you to work with keyword lists of up to 200,000 words, align ads with Bing’s policies, tailor your bidding strategy and much more. No wonder so many PPC Experts loved this tool! Optmyzr is a leading Google AdWords optimisation tool for advertisers, consultants, and agencies alike. It offers a Quality Score tracker, landing page checker and a free trial! What’s not to love? Acquisio is a popular search marketing platform that enables the user to optimise campaigns as well as offering the ability to report on social, mobile, and display initiatives. Having reportedly hired a rocket scientist to help design the program, Acquisio claim that: ‘It doesn’t take a rocket scientist to use the Acquisio search marketing platform. It did, however, take one to design it.” Awesome! Spyfu is a brilliant tool for competitor research and both PPC and SEO insights due to the huge database of information that it possesses. See adverts, sources and keywords for over 300 million sites in a concise and smoothly designed interface. The following tools all received a single mention each from one of our experts but no PPC Management tools list would be complete without them! Plot geographic data on a 3D globe , display it over time, create visual tours and much more all in one handy tool! SunnyReports helps you to automate customisable and professional AdWords reports. With the ability to easily add the statistics and visualisations that you want and build reusable reports, SunnyReports takes the hassle out of reporting. Marin Software is a cross-channel advertising platform that allows you to Optimize your Search, Social & Display ads across channels and devices. My agency currently utilizes Sysomos (for social listening), and by tapping in and understanding what your target audience is talking about on social media can help you find new keywords and phrases to target both through paid search and content/organic that may not be spit out by Google’s Keyword Planner. 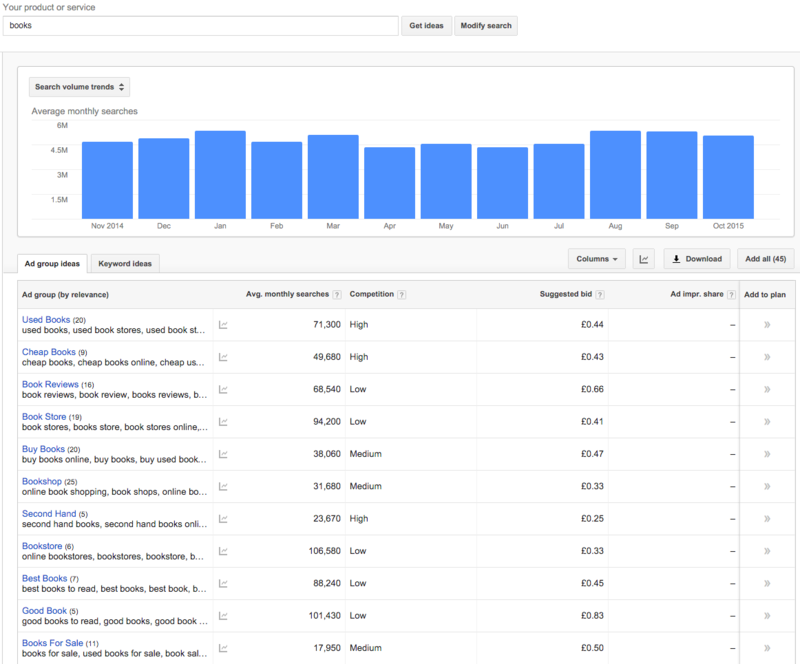 Search Terms Report is less a standalone tool and more a feature within Google AdWords that helps marketers fine tune their campaigns. Utilising Google’s Search Terms Report helps you to understand the searches that are triggering your adverts and helps you to learn what the intentions of the users performing those searches are. Kenshoo is a huge name in Digital Marketing and in 2015, brands will reportedly generate over $350 billion in sales through their award-winning ‘Infinity Suite’. 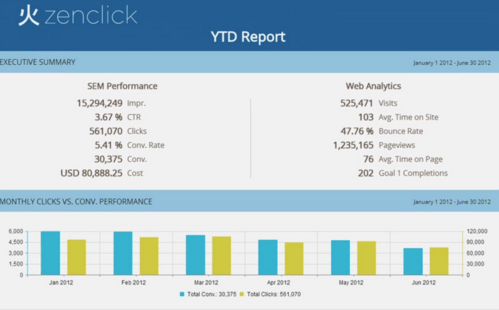 Kenshoo also claim that each second, web users click 4,000 Kenshoo-served ads across the world. Those stats don’t lie! WordStream have created a great little checklist, accompanied by a handy video, that helps you optimise your PPC accounts. They have produced a workflow guide outlining the tasks that will make the most impact on your bottom line. Facebook Ads are notorious for their precise, laser targeting and ability to target the exact demographic that you wish to view and engage with your brand. Facebook Adverts Manager is the social media giant’s very own tool for managing adverts and analysing their performance. There is now an Adverts Manager app, too. Optimizely, or Optimisely if we’re using the Queen’s English ;), is an enterprise-level A/B testing platform that helps you personalise and optimise pages across desktop, mobile web and mobile apps. Used by such high profile companies as Sony, The New York Times and NBCUniversal, there’s no doubting it’s prowess! Boomerang helps you empty your inbox by adding scheduled sending and integrated email reminders to Gmail. Basecamp is one of the most respected project management and collaboration tools out there. If you’re working on a collaborative PPC campaign and want to share information or changes made in the account then Basecamp is perfect! Features include: To-dos, files, messages, schedules, milestones and much more. Another feature of AdWords rather than an individual tool, Change History is a hugely underused view that can be found in the ‘Tools’ menu. 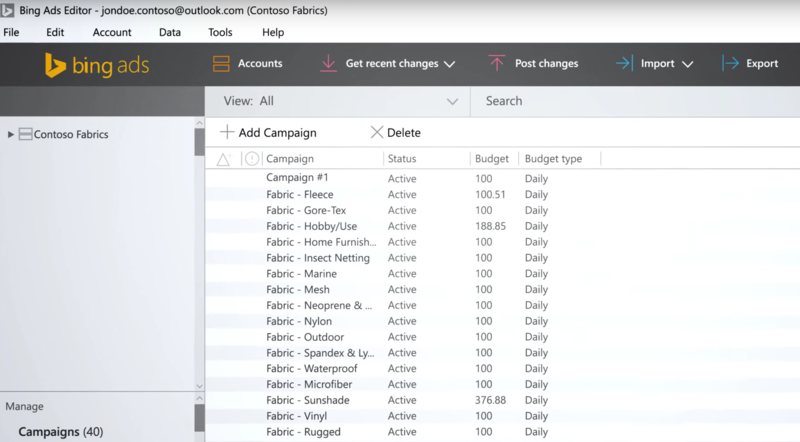 The tool lets you see changes in the campaign such as when it was paused, which user added or removed keywords and budget changes. 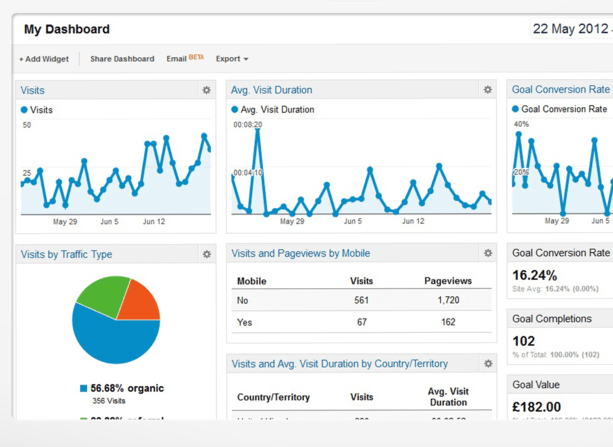 The Google Analytics Solutions Gallery features dashboards, custom reports, segments and other insights to help you make the most of Google Analytics and utilise the data provided. 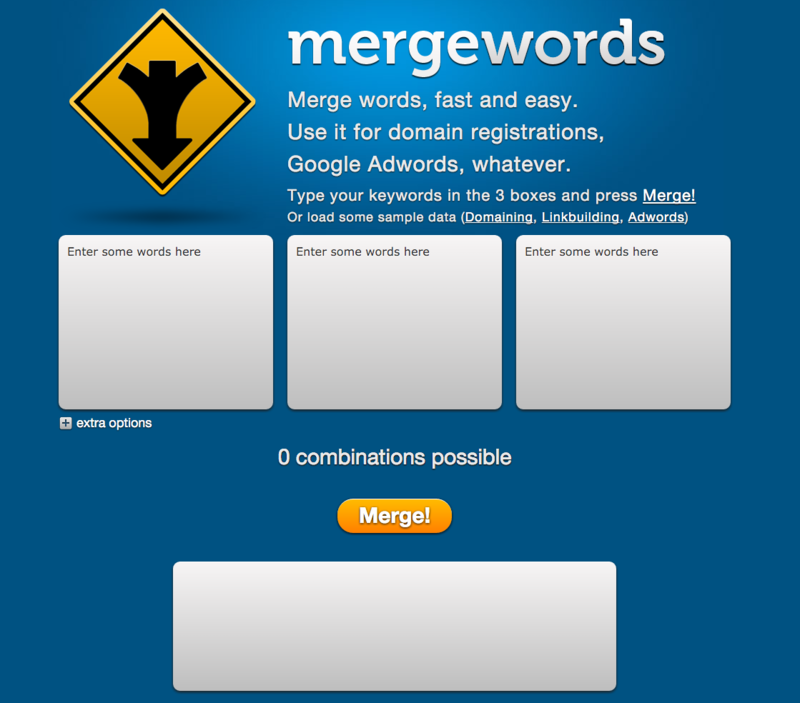 This tool is great for both PPC newbies and experts alike and is another tool that is greatly underrated. Data is always vital when it comes to starting a PPC Campaign and the more you can gather together the better. Whilst the United States Census Bureau’s website might not be everyone’s go to PPC ‘tool’ of choice, reliable data is a huge commodity online in 2015! Our very own PPC Calculator tool displays the costs of AdWords for over 20 business sectors. It uses real data calculated from Google AdWords statistics to give an overview of how much your potential AdWords campaign will cost. 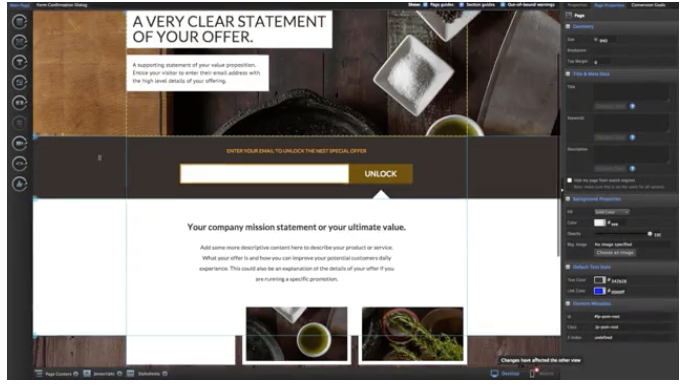 Adobe Media Optimizer is an ad-buying solution that allows marketers to choose the best mix of ads depending on your budget. It’s automatable and even suggests the best way to deliver the content to your audience. Take a look. Long Tail Pro is the keyword research software that enables marketers to find the best long tail keyword ideas. 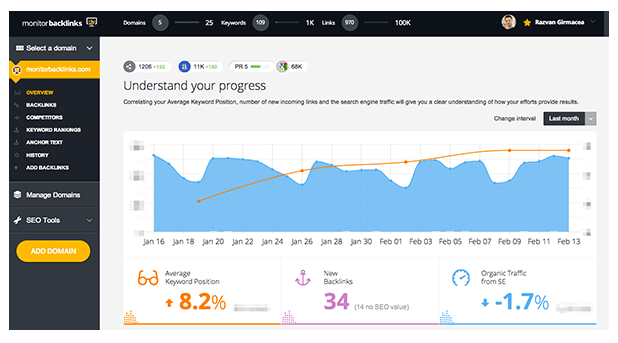 Boasting over 70,000 users, this competitor analysis software has a multitude of features including, but not limited to, pay-per-click analysis, real-time filtering and a rank checker. Google has a variety of planning tools on their ‘Think with Google’ site that are great for roadmapping any campaign, especially a PPC one. For example, Google Trends uses real-time search engine data to help you understand user search patterns. The ‘Consumer Barometer’ tool displays the source of purchases and details the process from start to finish. Keyword Machine is a powerful and easy to use PPC tool for search marketers that specialises in improving ad relevance, accelerating campaign builds and improving ad copy writing. 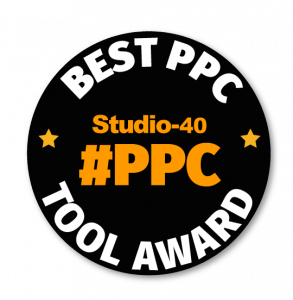 Which is your favourite PPC management tool? Lots of great info and tools here for anyone interested in refining their knowledge in PPC! Hopefully it will become a good go-to for anyone browsing for new PPC tools. Great compilation, George. Thanks for including me. Definitely great tools on this list. For the record, here was my response when asked for the top 3 ppc tools? AMO=Adobe Media Optimizer so they should get another vote. I feel like maybe the way the list was compiled made it seem like I favor one or two of campaign/bid mgmt tools over the others. Just wanted to clarify my comments for my friends at these companies. Thanks for getting involved Lisa and for the compliments too! We’d like to thank Justin Freid so much for recommending Sysomos in this list! We’ve always known that our Sysomos tools could be great for doing research around PPC campaigns and have told many people who may not have ever thought about it before. It’s great to get some validation that the industry is using us and finds it useful. Thanks for compiling this list George and thanks to Optmyzr’s fans for your votes of confidence! No worries Frederick. Hopefully it provides value for anyone working in PPC! Great! Very usefull. I think timecamp is another very usefull tool. It integrates with asana, basecamp or trello. Good job. Thanks for gathering reader opinions and putting this article together. I love “best of” lists. Personally, I work the best when I have just a few tools that I know how to use really well, rather than having so many that I quickly forget how to use them. But I’m kind of a sucker for new shiny tools, so I’m my worst enemy sometimes. Hey Brian thanks for your comment. I am definitely with you in that sense! That’s why I think these best of lists are so useful, especially when you get authoritative experts to weigh in with their opinions. It’s a sign of trust that the tool is worth your time to try out. Hopefully you’ve found a few gems from my list! Thanks you shared nice list of keyword search tool that is need for every blogger. Samrush and Protail keyword is what I am planning to use with free google keyword planner for more PPC .